The final product is determined by the addition of other chemicals but also by the actual polyol type determines the 2 basic family types. 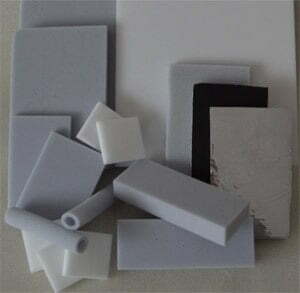 Polyether PU Foam (ether foam) – These tend to be the softest of grades and used in many retail and low cost applications. Densities range from 15 – 30 Kg/m³ as standard but others are available. The foams are prone to “blow holes” due to the foaming process. 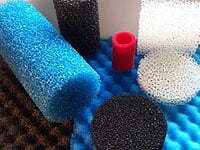 Polyester PU Foam (ester foam) – Mainly of improved physical properties, and controlled cell structure. Densities in general are from 20 – 60Kg/m³ Used where better performance is required and more technical characteristics. 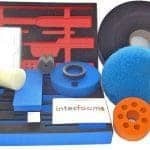 PU foam is also known as Sponge, because early grades were developed that gave the look of Natural Sea Sponges, and are used for car sponges or bath sponges. Intec Foams has the ability to create shapes from these grades for bespoke applications. 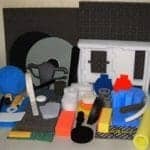 Compared to most foams, Flexible Polyurethane PU Foams are of low density with a variety of inbuilt properties designed for specific applications. 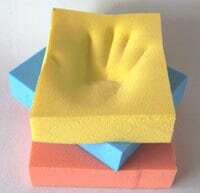 There are also some grades of sponge and foam that have been developed with Hydrophilic properties, used for absorbing water e.g. in the Pottery Industry for removing water from pots before firing. 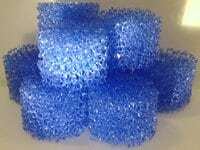 Special foams where the cell windows have been completely removed by a controlled explosion technique called “Zapped” Reticulation; in polyether and polyester grades. Available in different porosities to filter out different particle sizes. 100ppi is available.There is a special 50 – 65ppi that has been developed for HME Filters and a 75ppi for Ink reservoirs, ink rollers and ink pads. 10ppi to 90ppi for air and gas filtration. Produced in polyether and polyester grades for low compression seals to replace heavier/higher density EPDM in Automotive applications where weight saving is important.. Needs to be compressed by 60 – 70% to achieve a seal. 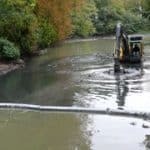 Sealtec – Aqua has been developed to provide reliable sealing against gases, liquids and particulates at reduced levels of compression, in comparison to traditional PU sealing foams which have inferior qualities. Needs only a 30% compression to achieve a seal. Similar in nature to memory foam used in mattresses, except ours exhibit improved visco-elastic behaviour similar to Conforfoam™ but at a fraction of the price. 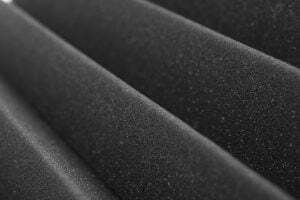 Ideal for comfort management and protective padding applications especially shock absorption foam products. Soften and conform when exposed to heat. 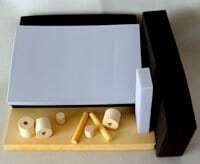 These are special grades of PU foams that are thermally compressed until the foam takes a compression set. Effectively, this treatment increases the density, reduces the pore size and makes the foam firmer. This is especially effective when taking a reticulated foam and felting it. By reducing the cell size, it creates a structure which creates a “Wicking” effect and draws in liquids into the foam structure. 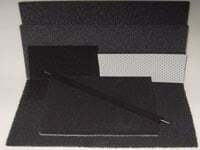 Ideal for the creation of an ink reservoir. 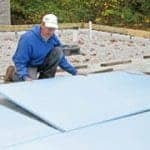 The foam can be compressed by several factors, only restricted by the height of the daylight press and the final thickness required. Most PU foams can be felted and some others too. 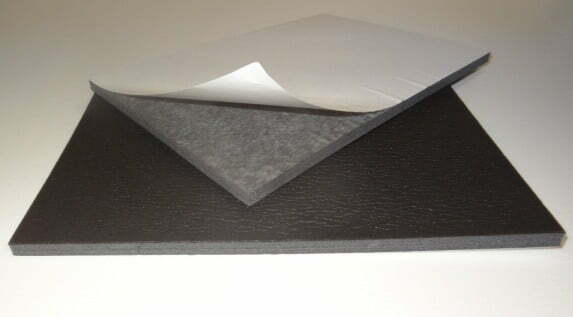 PU foams from Intecfoams. 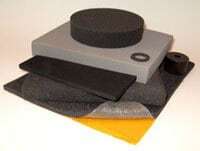 We supply and convert a wide range of PU including reticulated, sealtec, Firetec, SAF and Felted Foams.